For the gluten-free eater, gumbo is one of those foods we will likely never enjoy in a restaurant. At the heart of this dish is the classic New Orleans-style roux — a mix of flour and oil cooked until it is a rich, deep brown. Roux is synonymous with gumbo. But I love gumbo, and knew I could make an excellent dish using gluten-free flour, specifically, in my case, Bob’s Red Mill All-Purpose GF flour. I also borrowed a trick from Alton Brown, using my oven to build my roux. This allowed me to do all my prep work while the roux turned a gorgeous shade of chocolate brown. You can make chicken gumbo, shrimp gumbo, vegetarian gumbo, gumbo with okra, without okra. It’s your gumbo. This recipe has everything but the okra (which I prefer served on the side, lightly fried rather than in the stew itself). 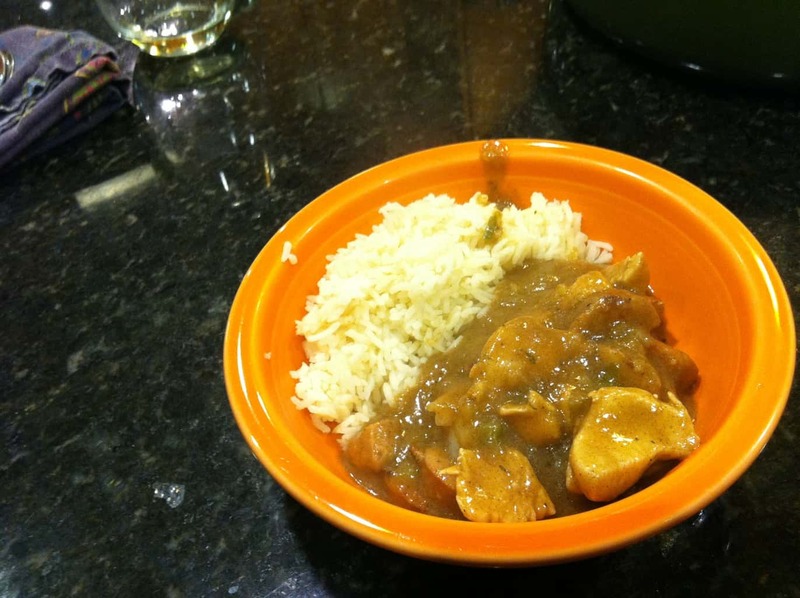 As a bonus, gumbo served over steamed rice makes an impressive they’ll-never-guess-it’s-GF party dish! 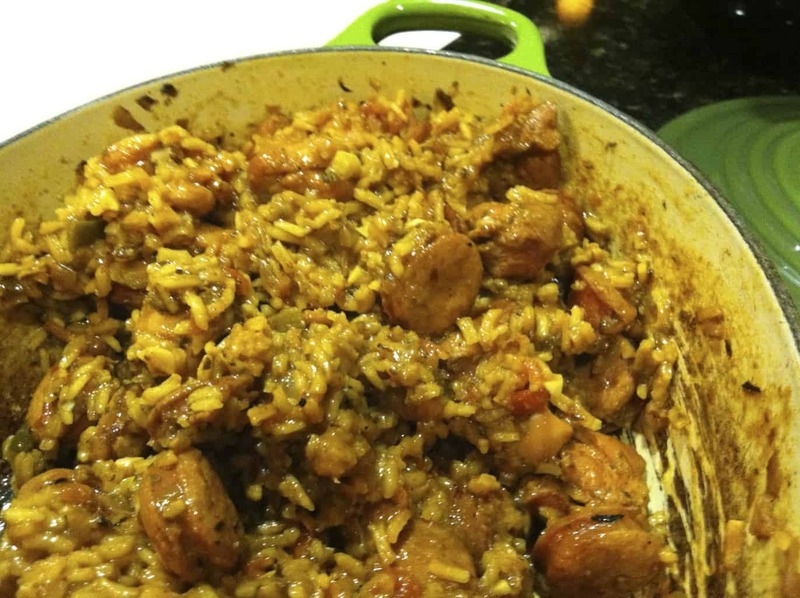 Jambalaya is most strongly associated with Louisiana, though friends from Mississippi claim it as their own. Every person who makes jambalaya has his or her own secret recipe — and, if you spend about five minutes searching for recipes on Google, you will discover dozens of variations of this classic dish. Put another way: this recipe is just a starting point for your own version of jambalaya. My recipe anticipates you will have plenty of time to cook this dish…but, as you will see, there are plenty of opportunities to speed up the meal if time is short. There are two major types of jambalaya: Creole, which contains tomato and is often associated with New Orleans, Cajun, which relies upon browned veggies and meat for a wonderful smoky flavor. My recipe blends the best of both styles, featuring chicken, spicy andouille sausage, and, when it’s on sale, shrimp. Needless to say, jambalaya is a great party dish because the recipe can easily be doubled. It’s also a great dish for crockpots.